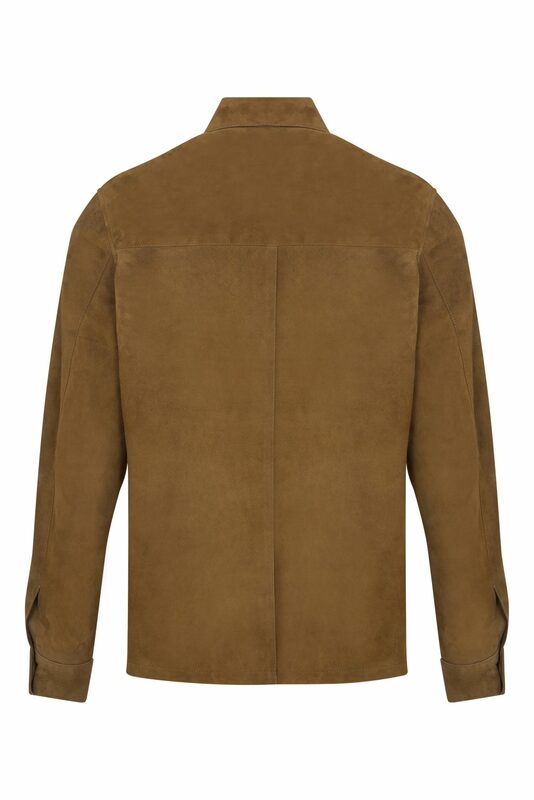 Soft and luxurious suede shirt in a muted khaki tone with tortoiseshell effect buttons. The Damon shirt is a simple, classic design with a single breast pocket, buttoned cuffs and small side vents. Half lined in a high quality satin for comfort and ease of wearing.